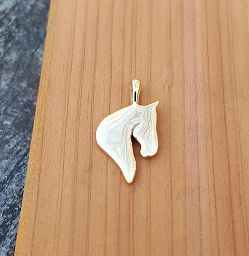 Silhouette Horse Head Pendant is an adorable addition to anyone's horse jewelry collection. 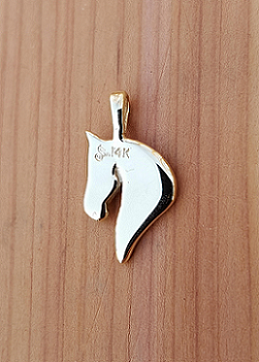 Perfect for every outfit or attitude. This piece would also make a great Lapel Pin, Tie Tack, or Charm for a Charm Bracelet. Either way you wear it, it is sure to be a big hit. 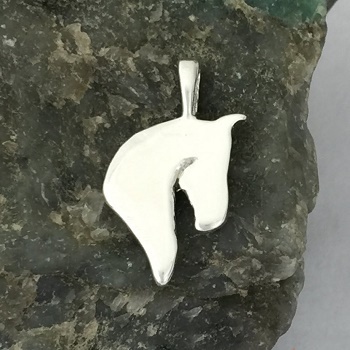 This piece is also available in Sterling Silver and 14kt White Gold.